1942 Shinola Shoe Polish original vintage advertisement. 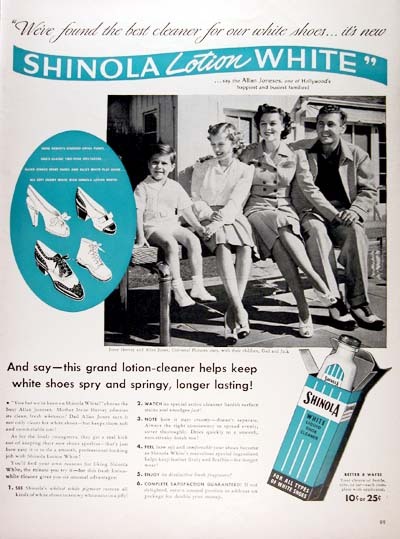 We've found the best cleaner for our white shoes, it's new Shinola Lotion White. With endorsement by Hollywood's Allan Jones & Family.